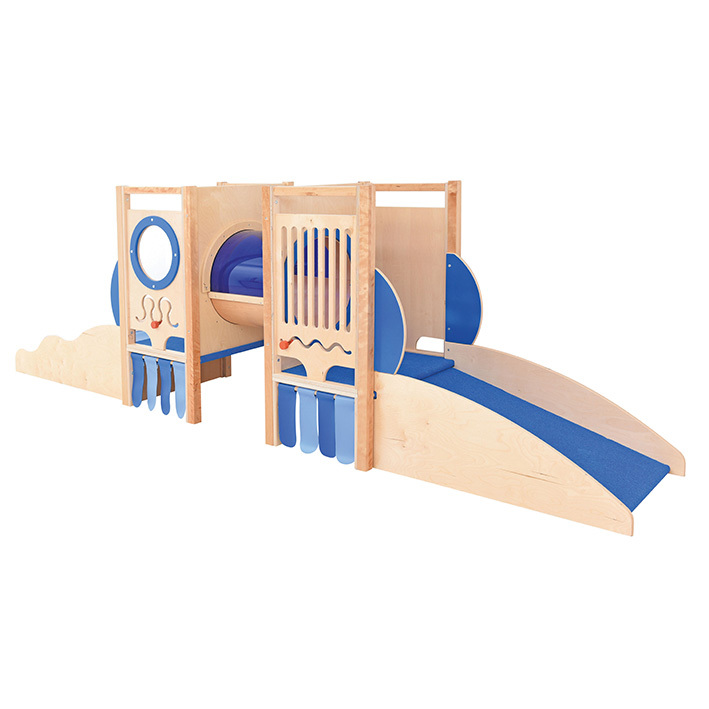 The Submarine Play Corner is sure to be the most popular area in your classroom. 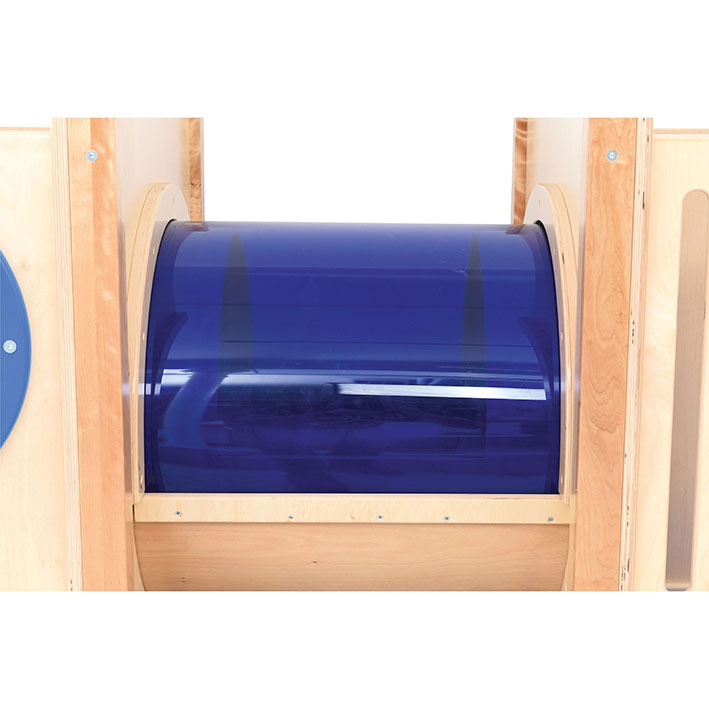 Featuring a crawl tunnel with toughened blue safety glass. Also includes a sloping mattress wave (PVC and foam) on one side and a sloped non slip blue carpet on the other side. 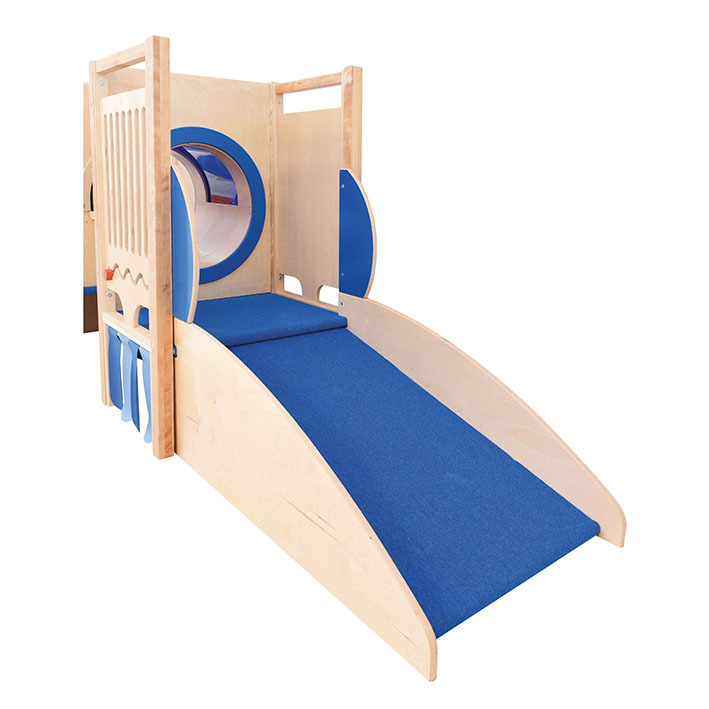 For added play value there are two moveable mazes and a play area/den underneath. Port hole has toughened safety glass. 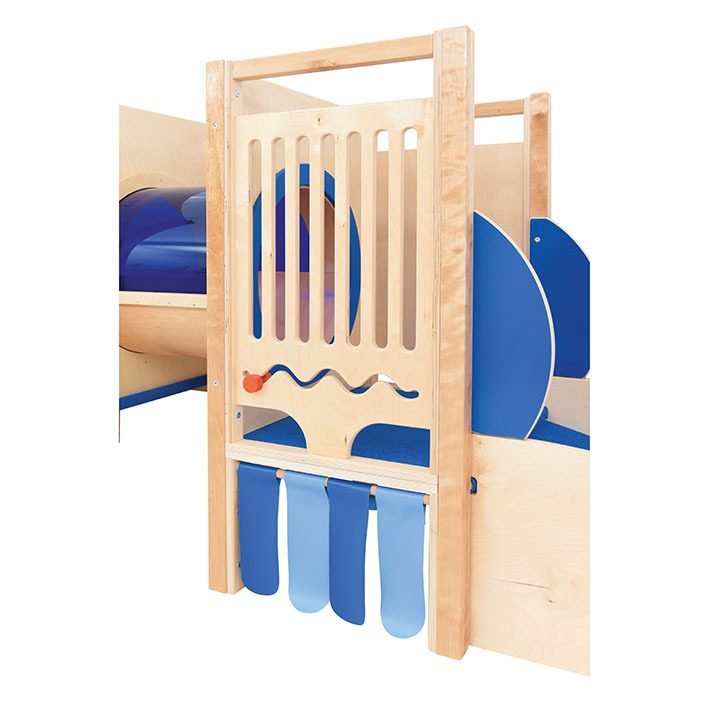 Manufactured from plywood, laminated chipboard and solid wood. Platforms have nonslip fitted carpet.